The location the cleanliness the room & courtyard space and the friendly owners Mary & George. 10/10 can not fault this place it’s our second time and will be going back ASAP. Beds were very comfortable. Shower room was great, lovely shower. Anna the caretaker was excellent and very friendly. All in all one of the best accommodations we have stayed in in Lindos village. The location was pretty good. Close to the old Lindos and shops. The furniture was also nice. Bed was clean. Bathroom was great, very new and clean. We enjoyed the most the location, the cleanliness and especially the yard with mosaic pebbles. Upon arrival, we received a complimentary welcome basket. The location was very good. It was very close to the town of Lindos. Thoroughly enjoyed our 7 night stay in the Aquamarine suite. The location of the Citrin Studios is excellent. 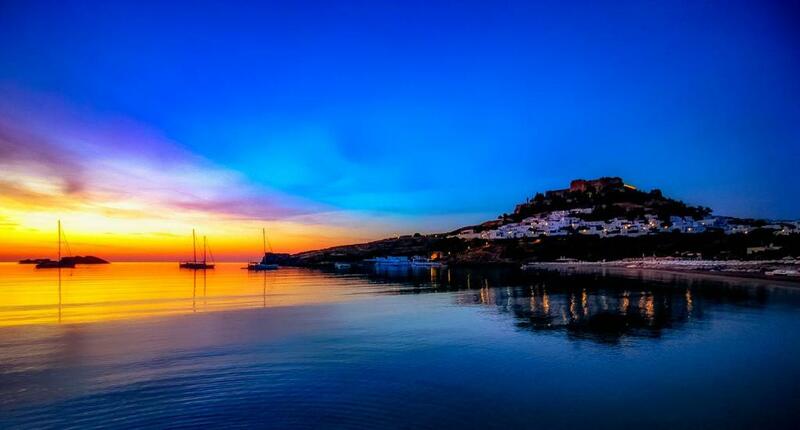 It's a 5 minute walk from St Paul's Bay and just 2 minutes from the main shopping area in Lindos. There are numerous restaurants and supermarkets nearby. Nevertheless it is in a quiet area of the town so you are guaranteed a peaceful night's sleep. The newly installed airconditioning was quiet and kept the aoartment a comfortable temperature. Wifi works well. The apartment was spotless and cleaned daily by the onsite maid. She was also vey helpful with any queries or requests we had. We were given plenty of assistance with arranging transfers from the Airport and onto the next stage of our holiday. Nothing was too much trouble for George and Mary to make sure our stay was an enjoyable and relaxing one. We would definitely come back again. 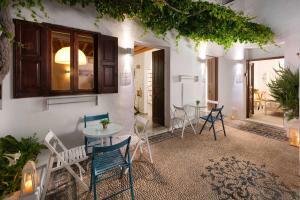 The location is fantastic, beautiful courtyard outside and the decor is modern yet in keeping with the town. The staff are always on hand too with lovely gestures of fruit and biscuits throughout your stay, and the welcome hamper is a god send! We could not meet Mary and George but they were so helpful since the day I booked the studio. This place is amazing, all new, near the beaches and with a perfect view of the Acropolis. Also, Lindos is beautiful. The little suprises which got left for us, how attentive the maid was ensuring everything was clean and tidy at all times. Owners keeping i touch during stay to ensure that we had anything we needed and if they could do anymore to help us. Very clean and comfortable room in a fantastic location, with great host's and a lovely maid service. We would stay here again in a heart beat. 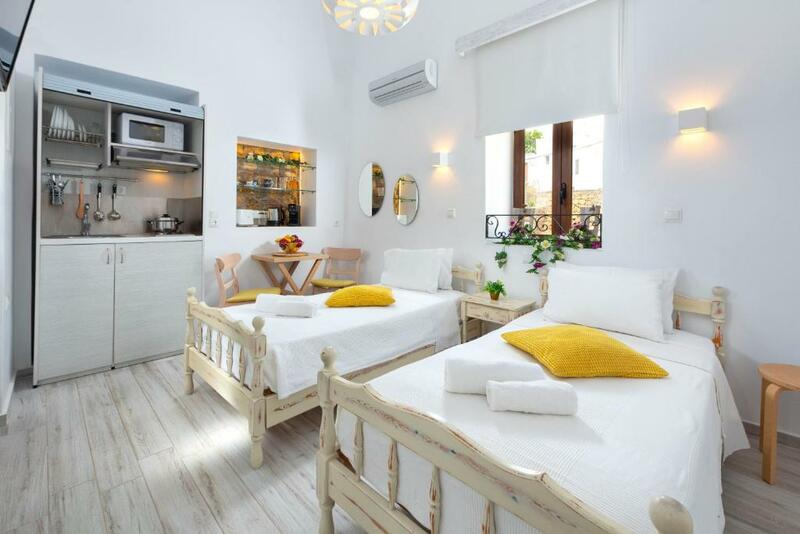 Lock in a great price for Lindos Citrin Studios – rated 9.2 by recent guests! One of our top picks in Lindos.Offering free WiFi and a sun terrace, Lindos Citrin Studios is located in Líndos, 1,000 feet from Lindos Acropolis. The accommodations has a satellite flat-screen TV. All units include a kitchenette fitted with a refrigerator and stovetop. There is a private bathroom with a bath in each unit. Towels and bed linen as well as Cocomat mattresses and pillows are available. The nearest airport is Rhodes International Airport, 31 mi from the property. 뀐 Located in the top-rated area in Lindos, this property has an excellent location score of 9.7! When would you like to stay at Lindos Citrin Studios? This apartment has a kitchenware, flat-screen TV and tile/marble floor. Cocomat mattresses and pillows are available. 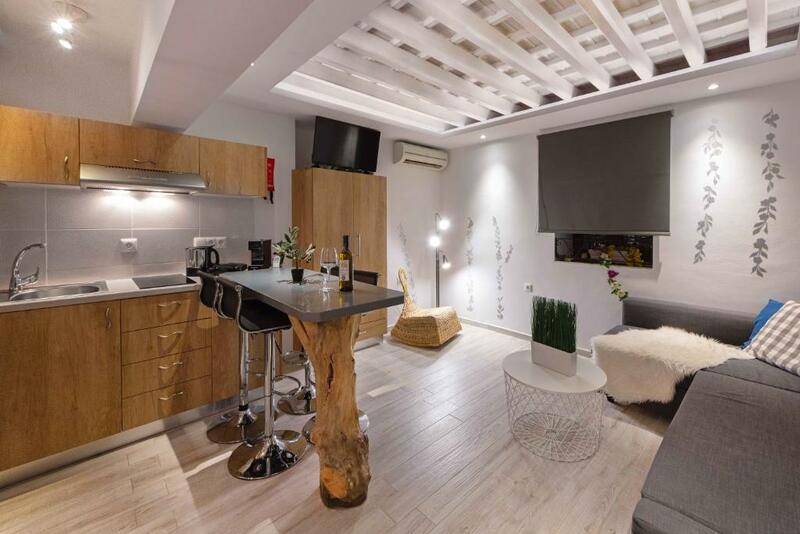 This modernly designed apartment offers views of the Acropolis and features a kitchenette, dining area, and 2 satellite TVs, one in the bedroom and one in the living room. Cocomat mattresses and pillows are available. This apartment has a stovetop, seating area and patio. Cocomat mattresses and pillows are available. 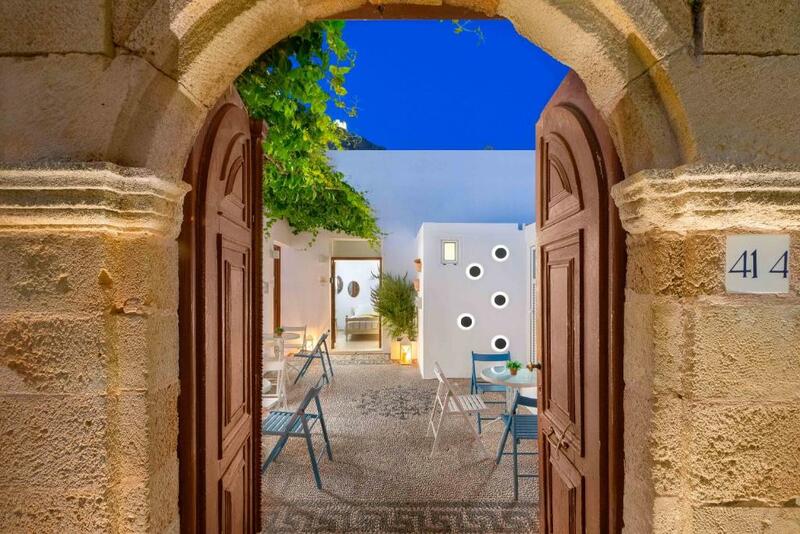 Lindos CItrin Studio is situated next to the ancient amphitheater of Lindos and only 100m from the Acropolis. 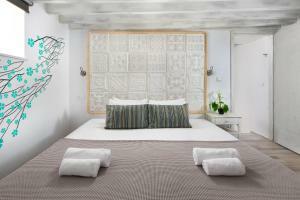 Our studio is as big as it is needed but has all the necessary that a guest might need in his/her vacations. We are locals, with longterm experience in hospitality and we enjoy what we do!!! We always do our best to make our guests' holidays as memorable as possible by providing them with everything they need before or during their vacations here in Lindos Citrin Studio!!! Within a 2-minute walk from the studio our guests can experience the Lindian day and night life as much as visit the Acropolis. 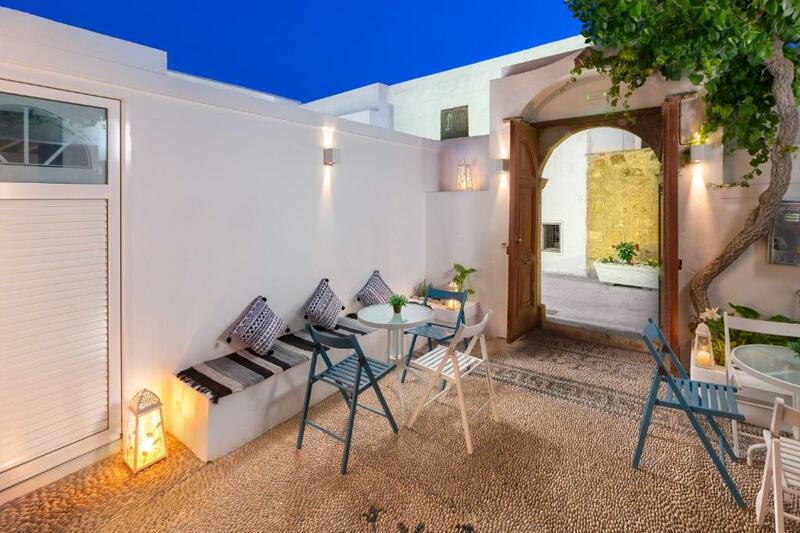 3 mini markets are located within 50meters away as far as the pharmacy and the most delicious and famous restaurants in the village with roof top gardens and excellent mediteranean cuisine. House Rules Lindos Citrin Studios takes special requests – add in the next step! Lindos Citrin Studios accepts these cards and reserves the right to temporarily hold an amount prior to arrival. Please note that free private parking is only offered while the guests are staying in the property (from check-in to check-out time - extra charges may apply before check-in or after check-out). Please inform Lindos Citrin Studios of your expected arrival time in advance. You can use the Special Requests box when booking, or contact the property directly using the contact details in your confirmation. I can’t say anything negative. However, the air in the room was not good. It’s hard to discribe, like the smell of bathroom cleaner or something similar. I opened the window and tried to let some fresh air in, but still smelt not so good. Nothing in the apartment could have been better. It was everything we expected. 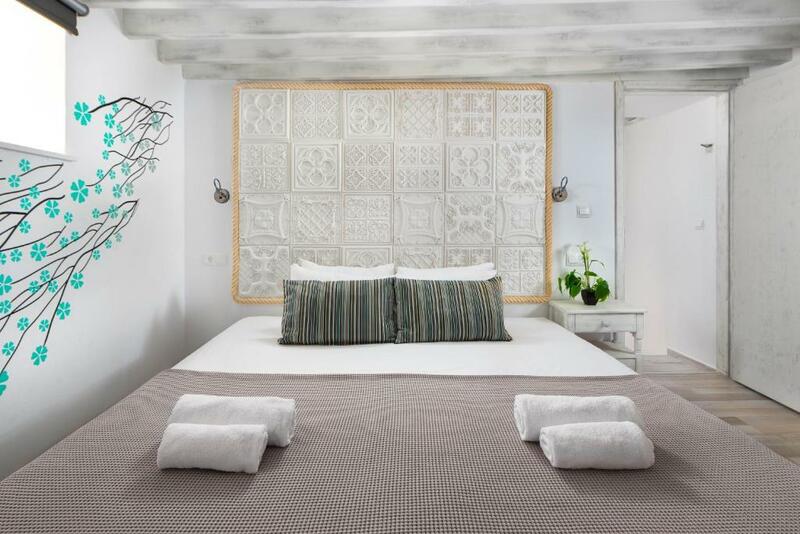 Comfortable, clean and well appointed within the town of Lindos. However, guests should be aware that the bathroom and kitchen areas are relatively small but still provide all the necessities for a comfortable stay. Bedroom stairs not advisable for people with mobility issues. I liked everything. Perfect holiday. The property is absolutely beautiful with full attention to detail. We loved staying here. The maid was lovely and friendly and kept our room immaculate. Loved the courtyard too. The shower room is very dated and needs updating. The upstairs floor is old and split, the wood flooring is also very noisy. The kitchen is to small under a staircase and needs updating. The doors and paint work very badly decorated. The stairs are very noisy from adjoining room as are the stairs in the accomodation. Finding room for our all our clothing was a little challenging, but we made it work.